What is cross media marketing and what does it means for businesses seeking new customers and a greater audience? At first hand there is an assumption that cross media means simply sending the same marketing message across all types of media from social media, multi-media platforms and the ubiquitous bit of paper. But it is really much more than that. In fact arguably paper as a medium has been at the forefront of this cross media revolution for longer than you might think. 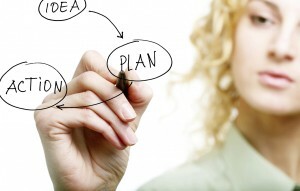 Think of direct mail marketing and the various calls to action that can be found on the piece. Leaflets distributed in magazines and newspapers. TV, radio and print ads, the focal point of this is cross media marketing or a form of communication with the buyer. Cross media seeks to establish an interaction between the various types of media elements, to engage, to interact and to encourage the customer to interact with you and the company. Communications have changed in the last decade and print is no longer the overriding medium used to communicate with the customer but it still has an integral role to play in the process of marketing your services and products. What makes cross media distinct from its other siblings is its ability to “interact” on line. Unlike paper, which is intrinsically valuable to hold and touch, you can’t interact with paper in the same way as you can on social media platforms. Paper still offers value and in a co-ordinated marketing campaign can be used very effectively with social media channels. There are more channels of communication through to the customer than there were five to seven years ago – the internet, mobiles, smartphones, tablets, email, social media all are instant and results can be measured to provide a deeper understanding of the customer making the interaction highly personalised and specific. In contrast a direct mail piece arrives on your doorstep and the consumer might read it if the headline is captivating and the call to action is convincing enough for him to take the next step – make a free phone call, fill in and send back, whatever the call to action is at that moment, the customer interaction may well become irrelevant in a matter of minutes, unlike social media where interaction is here, now and very relevant. Having a dialogue on line with a customer or prospect produces results that are defined and measurable. What makes a campaign become a cross media campaign is how the responses are funnelled into a single data collection point which in turn iniates the first step in dialogue with the customer. The interaction is the key feature here how to continue and maintain that dialogue with the prospect and convert them in to a paying customer. Cross media marketing can include variable laser/data printing, PURL’s (personalised URL’s) video web podcasts/webinars, email campaigns and social media. Variable data print can include a direct mail piece with a printed PURL on paper which then directs the reader back to electronic communication – the internet via a QR code which can be scanned with a smartphone. Posters, brochures, leaflets anything that can be highly personalised with the customers name, company and a content specific message make the customer interation highly personalised and individualised. And although print media might be losing out to its social media counterpart it still retains a unique yet visible position in the cross media marketing mix. 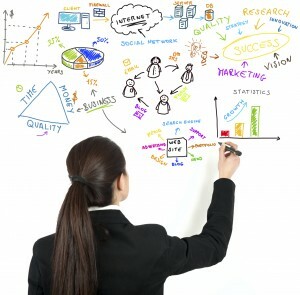 Using paper in a strategically defined and structured cross media marketing plan – in other words being clear on the offer to the consumer, having a clear market strategy and focus and providing convincing calls to action will move the audience or customer across the various media channels enhancing their experience and encouraging them to move to the next platform. An example might be a Pizza restaurant giving away leaflets with a QR code which when scanned takes the audience to a PURL which allows them to enter a unique and highly personalised code printed on the leaflet, which in turn offers a 2 for one pizza on the next visit and then takes them to a social media channel where they can register, like or subscribe for free cinema tickets. Each touch point builds on the experience and engagement with the customer teasing them to move on to the next platform. Using a PURL motivates the audience to provide more personalised information about their needs and interests because it feels personal to them. Finally, where does cross media fit in with print? Digital printing is helping companies to capitalise on cross media by being able to produce variable short runs at low cost where every piece of paper can be unique to the individual. Print is tactile, secure, reliable and isn’t so intrusive as social media can be. What makes print and cross media so effective is its ability to link to electronic media successfully. Your entire marketing mix is inter-connected and inter-related working toward driving traffic toward the website generating leads for your business with the intent to provide sales and business. 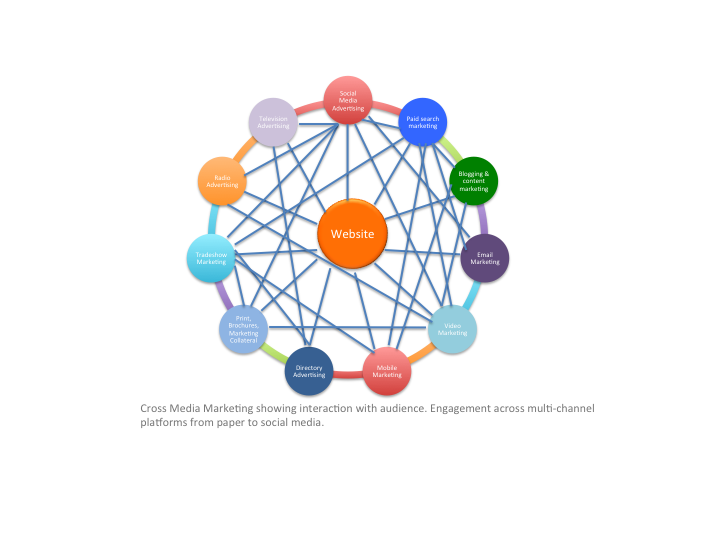 How does your cross media marketing campaign work for you? Are you doing this already? Is cross media marketing just another fancy term used for what we already do in social media? What do you think? Please share your view with us below. To subscribe to our updates please leave us your email address. You can find us on twitter, facebook connect with us on linkedin, google+ and Pinterest.